Today starts the 30-day celebration of me! Yes, that's right, April is my birthday month. I'm going out for food, drinks and basketball with several of my girlfriends on Saturday. Since Kentucky made it into the Final Four, my poor friends have to sit with me while I yell and jump up and down all night. Here's to hoping the Wildcats can pull out another win for me, their #1 fan. I also plan to use up every birthday deal I can get my hands on. FREE MASCARA for your birthday! Check. FREE SPRAY TAN for your birthday! Check. FREE BURGER AT RED ROBIN for your birthday! Check. Now if someone could just give me a FREE DRESS for my birthday, I'd be set. I'm currently in search of the perfect cobalt Kentucky blue dress for this weekend. Happy Birthday, Birthday Month to you!!!! I hope you find the PERFECT dress! the birthday month perks really are the best! 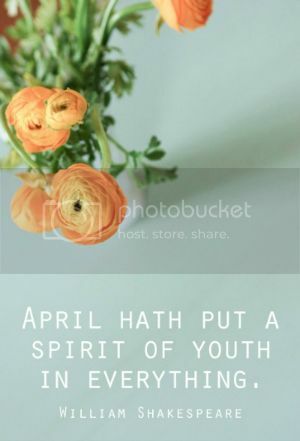 Hope you have a great birth month! I was so happy to see y'all beat Michigan! LOVE IT! My birthday is in July and the two weeks before and after are referred to as "Jennfest"!! Party on!! WIll you post your fav bday freebies?? Happy Bday! Girl, I like your style. I always do a birthday week, but a birthday MONTH is even better! Happy birthday! I love that stupid Selena song. Jacob makes so much fun of me. Haha! "Jazz it up!" I'm late to comment, but I hope you're still celebrating!